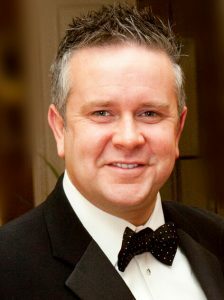 Nigel Doolin is Head of Trading for Merrion Gold in Ireland, Scottish Bullion, York Bullion and Newcastle Bullion in the UK. Having been a long-term personal investor in precious metals and coming from the business background of running a Vault facility, Nigel was involved in the starting-up of Merrion Gold in 2013. Since then the company has grown to include trading desks in Scotland and England. With a keen eye and interest in world economics and politics, Nigel and the team at Merrion Gold have rapidly built up a reputation for straight-talking, transparent dealings and educating investors in what is best for them when purchasing or investing in precious metals. Where does gold / silver derive its value from? “The answer to this question stretches back thousands of years! There are Egyptian hieroglyphs from as early as 2600 BC describing gold as a valuable item. Some of the first minted gold coins to be used as currency were found to be from around 600 BC in Asia. The basic reason gold has come to be so valuable must surely derive from the fact that from days past it was an easy way to move around or travel with your wealth. Of course, it could be worn as jewellery, it is hugely resistant to corrosion and it is (relatively) light. Today the world usage and consumption of new gold produced is about 50% in jewellery, 40% in investments, and 10% in industry. In general, what is the nature of the relationship between the British and Gold/Silver? We find on the most part the British tend to move towards investing in gold in times of uncertainty – both political and economic. The Lion’s share of investors will look at gold as a medium to long-term investment (4-5 years+), with most happy to ride out the dips that usually come at some stage along the way and wait for their investment to top the price they bought at. We have more and more smaller investors getting interested in buying gold and these would tend to be 1-5oz buyers who will buy coins as opposed to bullion. No matter which of these brackets the buyers fall in to they tend to be more educated on the safe-haven value of gold these days. Which is your favourite gold/silver coin and why? 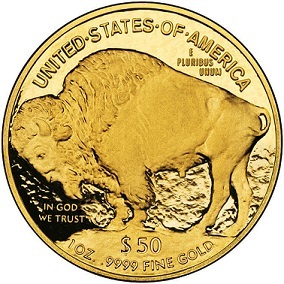 My own personal favourite coin is the 1oz Gold American Buffalo. I think it is one of the most recognisable coins out there and it’s one of the few coins which I like the design on both the front and reverse. It has a great feeling of heritage and nostalgia about it, and I think it very much looks like the kind of coin one would find in a treasure chest of old! Do you notice any difference in psychology between the silver and gold investor? In my experience I find gold investors tend to be a little more relaxed in their attitude to their precious metals investments – most are happy to wait out a longer timescale for their investment to mature – silver investors tend to look for a quicker ‘turnaround’ on their investment. I also feel the silver investor would be more willing to take a higher risk. What are the most common mistakes of physical Gold and physical Silver investors? I think the most common mistake first-time investors will make is automatically opting to buy coins – we always ask the purpose of the investment so as to be able to give the best precious metals advice to the client. Clients should understand that with coins there are minting charges and you must also take into account that some coins are more in-demand than others, therefore it is possible that someone purchasing a 1oz gold coin could end up paying a lot more for that 1oz coin than they would a 1oz bullion bar. When they go to sell back to a bullion dealer it will almost always be just valued on the weight, therefore (unless you sell a coin to a coin collector) you will rarely make this difference in price back when you go to sell. 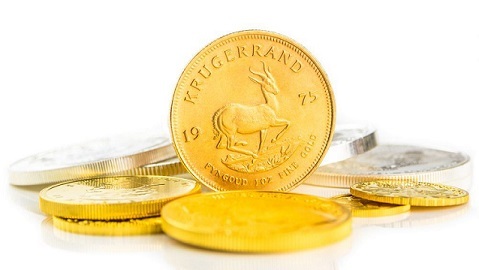 There are other pitfalls involved when purchasing gold for the first time, which is why at Merrion Gold we strive to educate our clients as well as serving them in the most efficient manner possible. Are there any tax advantages in Ireland when investing in Gold or Silver? The most obvious is that gold is VAT Free, whereas there is VAT applied to all silver sales. In your experience which silver/gold coin is the most difficult to fake? The most difficult coins to fake are the newer coins – the likes of the 2017 Britannia and the Canadian Maple (from 2015 on) – these coins have laser-precision waves on the face of them which are practically impossible to fake. It must be noted however that no coin is completely impossible to fake – this is why here at Merrion Gold we have a 6-level testing set-up in-house. Buyers should always be wary of any dealer who does not have sufficient testing set-ups in their business. Can you describe your 6-level testing set-up? At Merrion Gold, we have a 6-level testing set-up at our disposal in-house. This enables us to test every precious metal that comes through our company, when either buying or selling. Even though we only trade in LBMA approved refineries, this testing ability means we can ensure all precious metals through our company are 100% as they should be. It is worth noting that some companies will use 1 or 2 methods of testing (some listed below), but we find when all of the testing variations below are used together, the result is as definite as you can get. Magnetic Balance Weighing – this measures the (apparent) weight change in the metal by use of a super-strong test magnet positioned on a digital balance. Use of Bullion code matching system. Can you briefly describe the History of Merrion? When we started Merrion Gold in 2013, we wanted to create a world-class gold bullion and coin trading service. We offer our clients the complete privacy and security they deserve, this is why we are housed within an actual vault facility. This not only offers clients an environment with total security – but we also offer them the ability to purchase, collect and store their precious metals in the one place. Our trading volumes have increased year on year, proving to us that if you offer the right service and value to clients they will return time and again. In 2016 we opened our second trading desk in Scotland called Scottish Bullion – and in January of 2017 we opened Newcastle Bullion in the UK. Can you tell us more about the services you offer? We buy and sell physical gold bullion and coins. We only deal with LBMA approved refineries so our clients can be sure that all gold we sell is ‘good-delivery’ gold. We also have a 6-level testing set-up at Merrion Gold, where all gold moving through us (in OR out) is fully tested and verified. We do not offer any financial advice as we are not QFA’s – however we will give you the very best precious metals advice that you can get. We also offer safe deposit box rental within the vault (through our sister-companies Merrion/Glasgow/Newcastle/York Vaults) where you can store your precious metals and/or any other valuables you may have. Why do customers choose Merrion? I think customers chose Merrion because we are completely transparent and honest in our dealings. The security of being housed within a vault is also a huge plus for us. Our traders have a wealth of knowledge and we try to educate new clients as to what is the best product/s to suit their requirements. Some clients who have given us reviews and feedback online always state that our professionalism and efficiency is second to none. We enjoy what we do here at Merrion Gold and this obviously comes through in our dealings with clients. Do you sell gold outside the UK / EU? We can transact with any client anywhere around the world – however when you purchase from us you must collect from one of our vaults. We have vaults currently in Ireland, Scotland and England. We do not ship to anywhere except to our vaults. If the client cannot make it straightaway for their gold collection, we will securely hold their purchase for them in our company safe deposit box within our vault for up to 30 days at no extra cost. What are the storing costs after the first 30 free days? We can store clients purchases within our company vault box for up to 30 days at no cost to the client, to enable them sufficient time to collect their purchase. After 30 days the cost is capped at €45 per month. Where can potential customers find more about your services?